Man Singh, Maharaja of Jaipur and 1500 ‘wives’! Love the illustration, that face is wild! 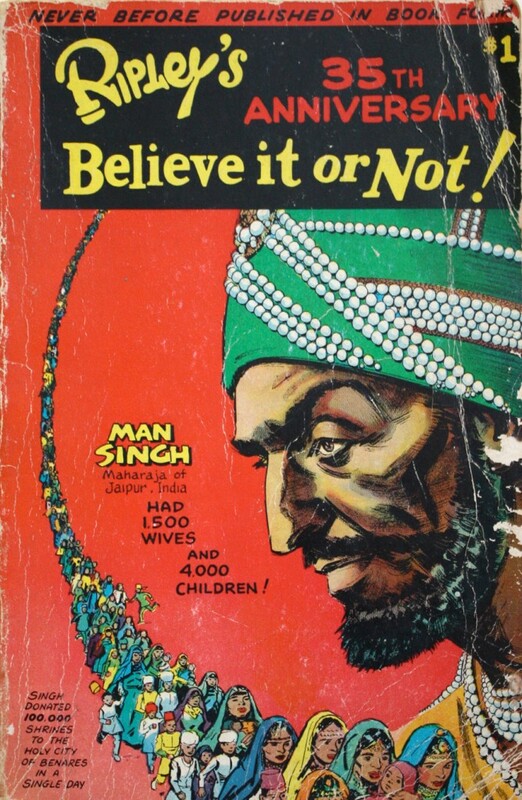 Don’t know who did the art…but Man Singh, more concubines than wives I’d say, but 4000 kid’s, wow, Ripley’s had some fun in the early years with their facts! This entry was posted in Art, Art Technique, Illustration, Motherlode. ← It’s always a full beard, it’s a prerequisite for a gull wing mercedes.